Joel and Marc look back at the and the epic toys that shaped their childhoods. They talk about the toys that made them jealous, mad, and the ones they always wanted, but never had. Hosts: Marc Cabot and Joel Richard. Took some searching, but I found this video of the technodrome toy. A Rubik’s cube solving robot made out of lego and driven by an Android operating system. Can you get any more epic than this? The commercial I was talking about. Due to the fact that we release our show on a local radio station, we must adhere to a strict time limit on our episodes. 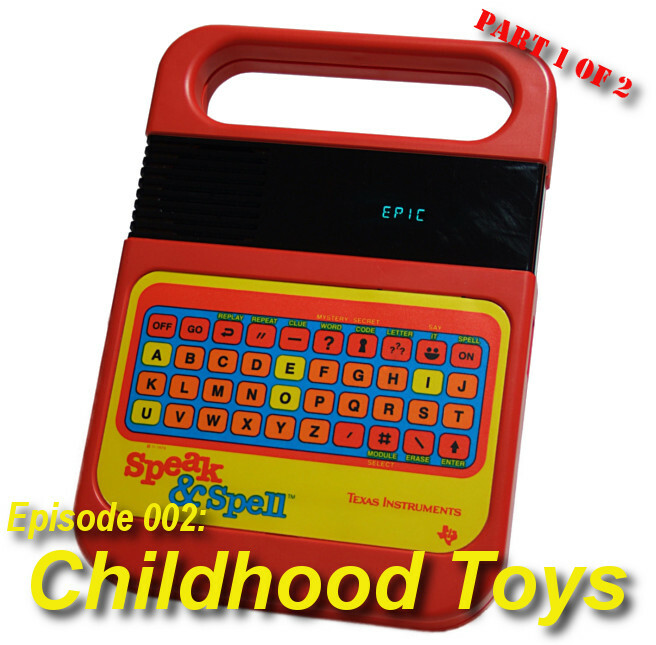 Once we started talking in the studio, Joel and I went on for quite a while about our favourite childhood toys. In the end, we had well over double the allotted time recorded. So, to make sure it all aired, we split it into two episodes. This episode was recorded in the earlier days before we actually started airing Epic. At this point, we were toying around with using the phrase, “You’re listening to Epic” at the end of each Sketch. This did not last.